Today will be a quick update on where the systems are at, complete with a picture or two. Elevator: Went to IV to begin machining, rut rentals about a quarter done. Roller Intake: Pieces finished, ready to be mounted on robot, and gearboxes are assembled. 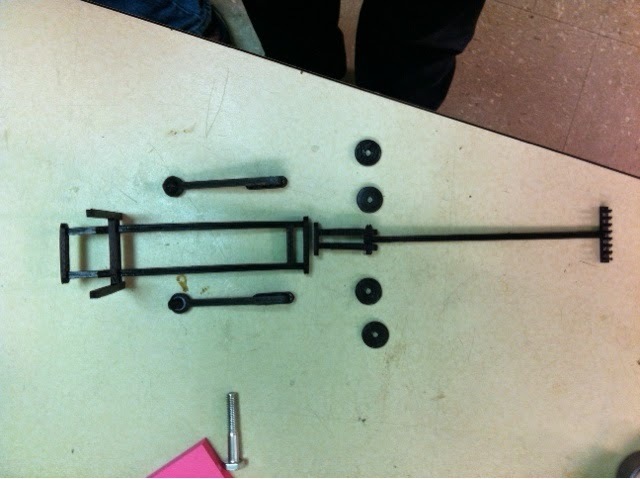 RC Claw: The mounting piece that was missing has been designed, and is almost ready to be machined. 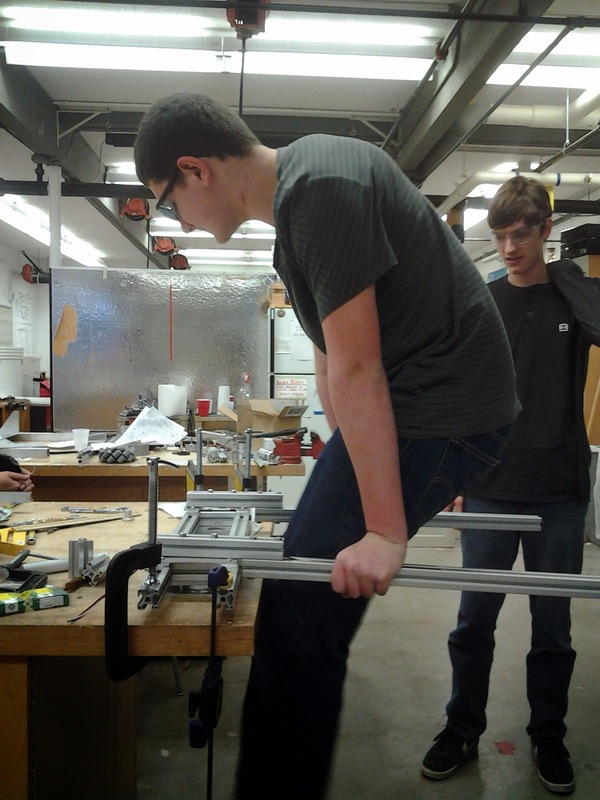 Gripper Arm: It is essentially constructed, the actuator is coming soon, as mounts are being finalized, and sensors have been designed and placed. The arms have undergone quality testing. 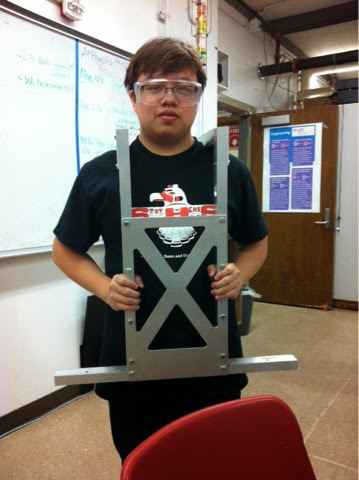 They seem to be able to support more than enough weight. Mini Robot: The systems were printed today in black, an the base is printing overnight in red, it's adorable.